This updated presentation/video looks at 5G Network Architecture options that have been proposed by 3GPP for deployment of 5G. It covers the Standalone (SA) and Non-Standalone (NSA) architecture. In the NSA architecture, EN-DC (E-UTRA-NR Dual Connectivity), NGEN-DC (NG-RAN E-UTRA-NR Dual Connectivity) and NE-DC (NR-E-UTRA Dual Connectivity) has been looked at. 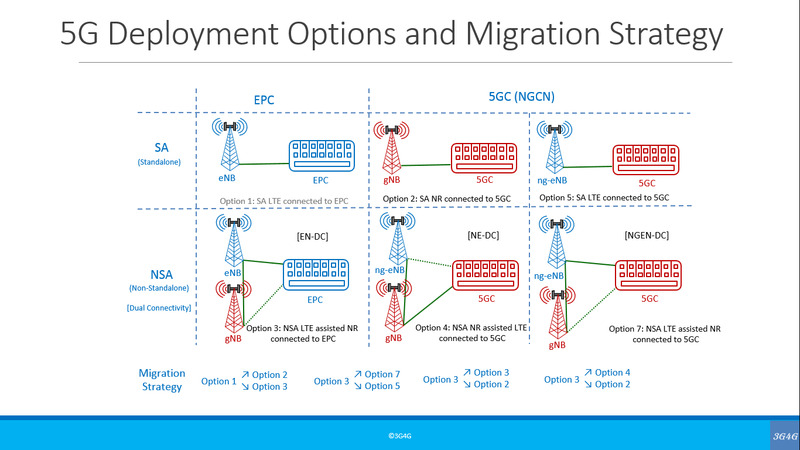 Finally, migration strategies proposed by vendors and operators (MNOs / SPs) have been discussed.